H.R. 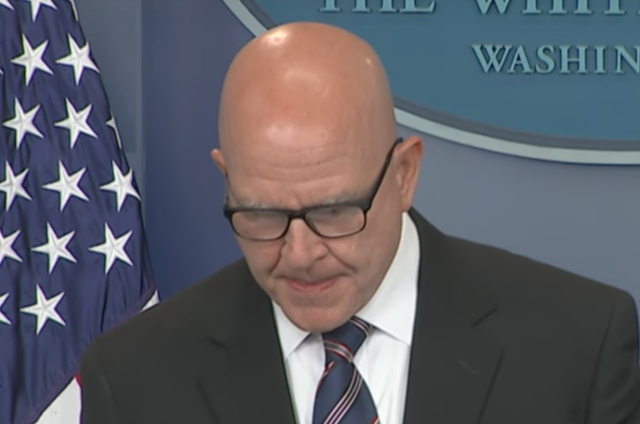 McMaster's press conference on Tuesday regarding President Trump sharing classified information with the Russians was packed with information. And while a good amount of it was conveyed via verbal language - a truckload arrived in the form of body language. Journalist: Thanks a lot. General McMaster, ah, you came out to the stakeout are yesterday and, ah, and coming out to the stakeout area, you said that the Washington Post story, which came out yesterday afternoon, was false. Do you stick by that assertion? Do you think that every element of that story is false and do you have anything to correct, in terms of what you said at the podium yesterday afternoon? 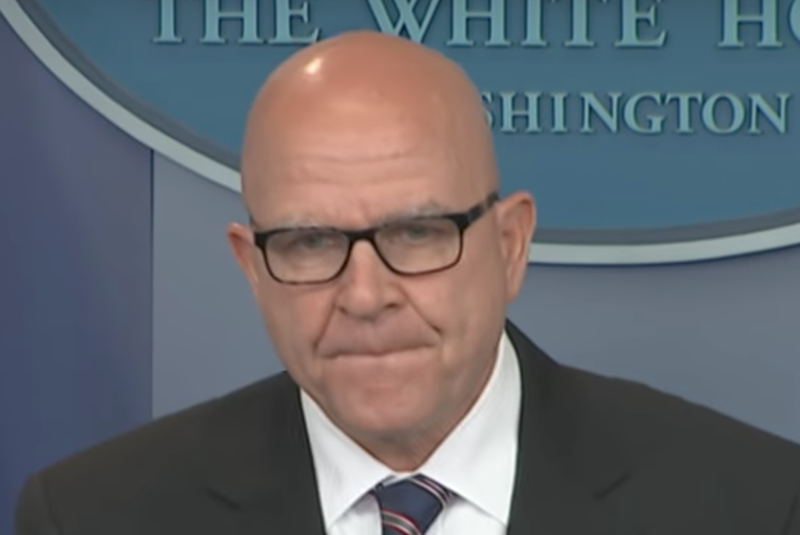 Now watch his face one more time in slow motion - paying close attention to McMaster's face as the journalist says the words which are color-coded below. Journalist: Thanks a lot. 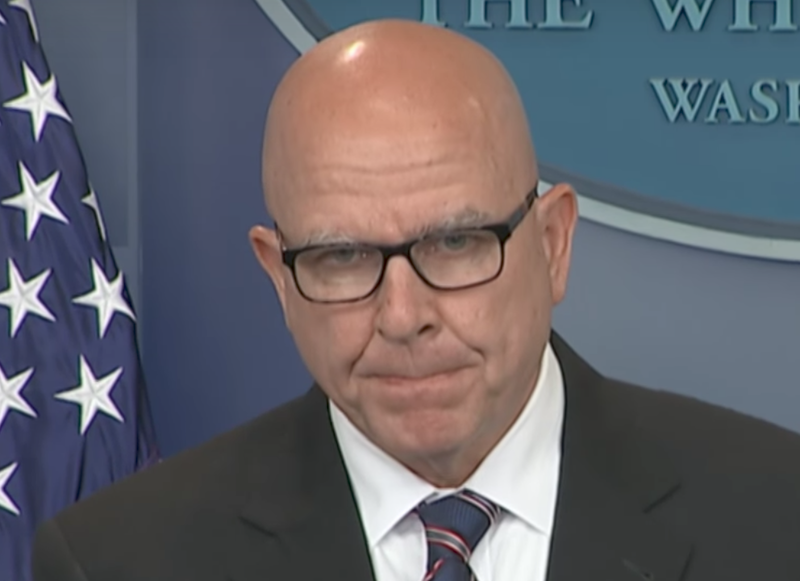 General McMaster, ah, you came out to the stakeout are yesterday and, ah, and coming out to the stakeout area you said that the Washington Post story, which came out yesterday afternoon, was false. Do you stick by that assertion? Do you think that every element of that story is false and do you have anything to correct, in terms of what you said at the podium yesterday afternoon? This first image was captured during 6:05, as McMaster was listening to the journalist's words, "... coming out ...". Note the general tilts his head downward (as he also gazes downward) and juts his jaw significantly forward. There are even portions of his lower teeth visible. This is significant for a sizable adrenaline surge. In this moment, he is experiencing the emotion of anger. In the next instant (during 6:06), as the general was listening to the journalist say, "... the stakeout area ...", we see an excellent example of an Inward Lip Roll (ILR). 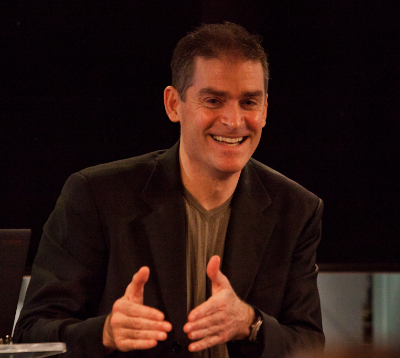 An inward lip roll is a signal of the psyche's attempt at suppressing the crescendo of strong emotion (both felt internally and displayed externally). A spit second later, as the journalist spoke the words, "... you said ..." (6:07), General McMaster displays a clear primary expression of Contempt (note his left 'Mustache area tighten and elevate simultaneous with his left flared nostril) - and with a secondary component of Anger (His eyebrows are drawn downward and slightly closer together. There is also increased tension in his lower eyelids). This display is evanescent enough to classify it as a microexpression. 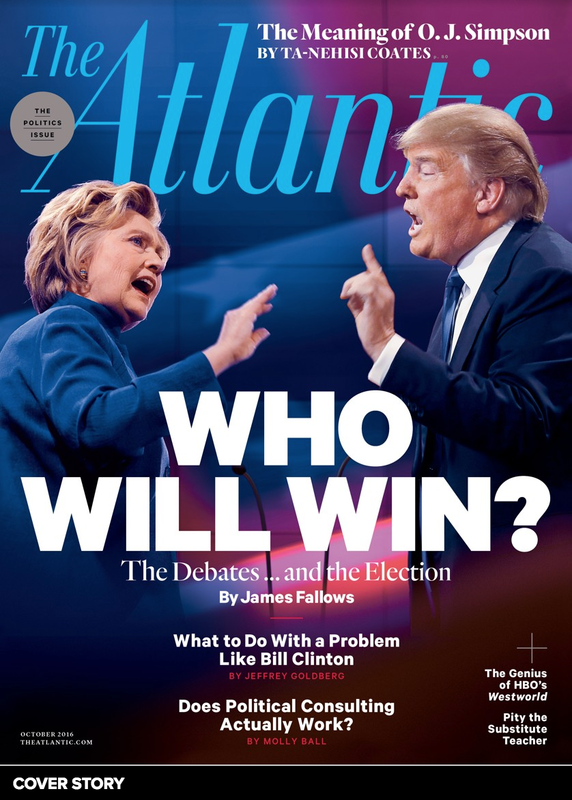 A few seconds later in the same question, as the Journalist says, "... assertion? 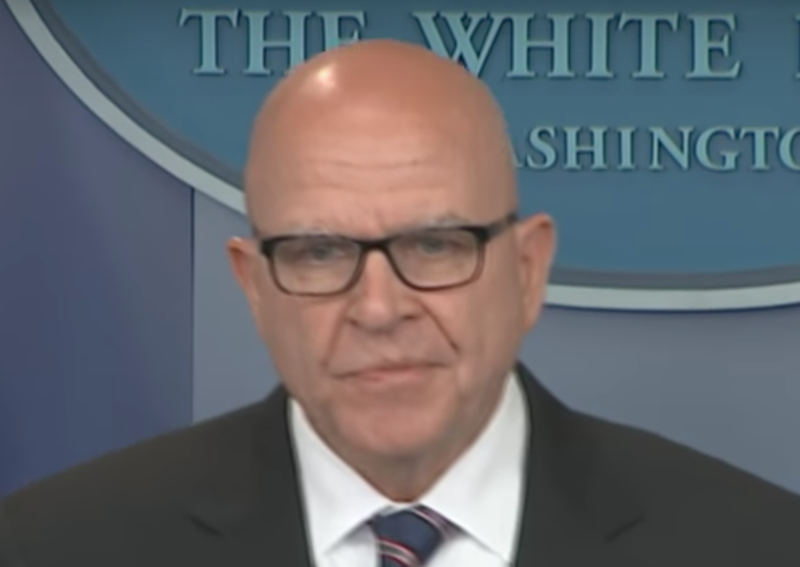 Do you think ..." (6:15 - 6:16), General McMaster again both gazes and tilts his head downward - as he juts his jaw forward - this time exposing even a bit more of his lower teeth. Once again, this display indicates Anger. With the very next words of, "... that every element of that ..." (6:16 - 6:17), H.R. 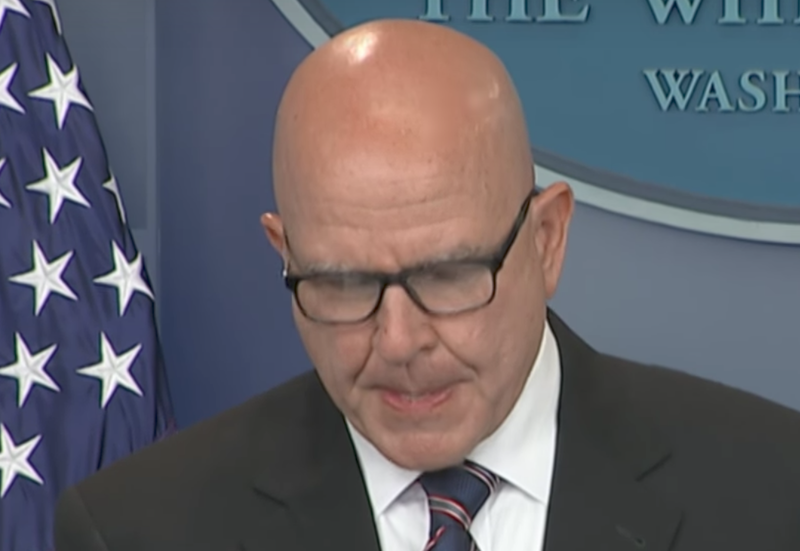 McMaster clenches his jaw in Anger - as the tissue below his lower lip bulges up (Frustration) and his chin displays dimpling. This was a very common expression of Barack Obama during his presidency. Summary: H.R. McMaster felt significant emotional dissonance during his press conference on 16 May 2017. The short segment above demonstrates anger, contempt, frustration - as well as a strong desire to suppress these feelings. It's not possible, with this limited sampling, to determine whether the general feels these emotions toward himself, the journalist asking the question, the Russians, President Trump, or some other person(s).